Except that I spent upwards of 10 hours traveling to and from. The train on the way down had to stop ten minutes away because of rail traffic... because there's only one track, so one train can mean a lot of traffic. So, although parts of my weekend were fun, the traveling parts were irksome and tiresome. With that said, I will post dreary and jealous comments in any and all blog entries I read talking about the end of the school year and / or the start of summer. I will only share my pity with those taking AP tests in the coming weeks, but it's limited if those tests are at the end of said test taker's school year. I'll be getting off sometime mid June, thank you very much. It's late, I'm tired, I have a lot of homework, and there's really nothing worth reading on BZP right now. I'm signing off. Bonesiii is hosting a contest on PowerPoint vector art, and I'm having trouble choosing my entries. I made one, but I don't have enough time and / or inspiration to make more. 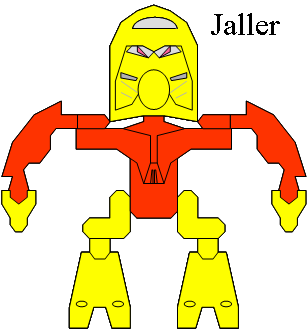 Luckily for me, I was into Bioncile vector art via PowerPoint long before bonesiii ever posted his guides (although I did get a few tips from them) So I thus have a pretty good collection of Bionicle masks from 01 to 06. 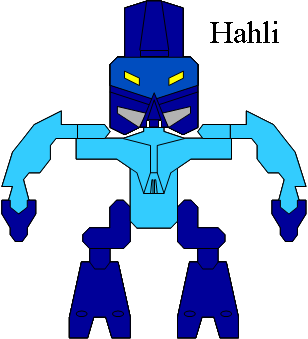 Some of them are bad... the Hau was one of the first I ever created, and I never took the time to revise it. But so many of them are good and similiar to the set forms. I have two more masks that I can enter into bonesiii's contest, so I need help choosing which to put in. So you can recommend which ones look the best... (or which ones offer you the least amount of competition). So, yeah. 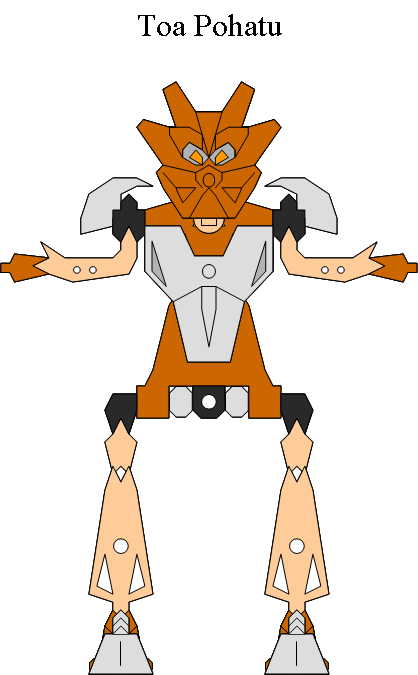 And mostly this is just to counter Adventurer's and Takua the Chronicler's Wanderer's multiple entries on vector masks. Here's some of my work now. LOOK AT IT! Just complaining now, onto the real update. So now my Lewa is complete, with all his pieces in the right place. I personally liked my version a bit better. The new armor makes him look a little meatier, but it also makes him look flat and pancaked, which is the fate of many canister sets. On the bright side, it really does give the lime a color boost over the gray. I'm not completely satisfied with the piece, but I am satisfied with the service. Lego is good at sending replacement pieces. However, if you do follow through with this, look up the exact piece number, so as there is no confusion of what you're really missing. 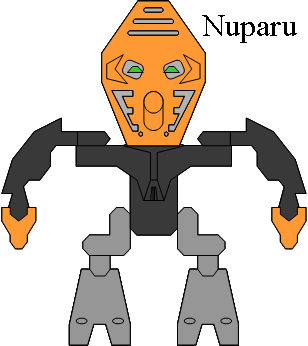 I have just spent the night brainstorming for my epic, Slizers on Mata-Nui. In general terms, it's an epic where I find something interesting to put in, and then run with it, like I had planned it all along. For instance, there was the use of the Vahki, which came out of nowhere, and the inclusion of Sunari, which was for a contest. But a while back I started a time line for the epic, placing basic events in the order I'd like to write them in. 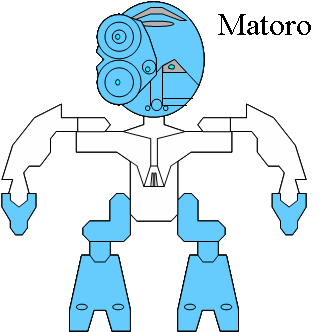 I revise it and move stuff around as I actually come to write about things, but I have some of the major twists and turns preplanned, such as the Matoran's initial capture, the attack by One-arm, and stuff like that. It's basic, pretty much saying who'll be doing what, when, where, and against who. Sometimes not even that much. It's crude, but it helps to guide me when I'm creating future chapters. Well, I've spent a good portion of the night lengthening that time line. It's taking up a lot of room in Excel, but it's good. There are lots of fun things I have planned out, and now I know where to put them chronologically. And I was also able to determine where specific characters will get their chance to shine. I really can't wait to write this, but I know the process can be slow when I get hung up on certain chapters. And I don't always get hung up on the same kinds of things... peaceful, planning chapters can be difficult if I want to foreshadow something that I haven't yet thought up, but if I know what I want beforehand they're easy to write. If I have already choreographed a fight in my hand, putting it into writing usually isn't too bad, but if I haven't some fights can take a painfully long time to write. That, and sometimes my inspiration just runs dry, or my time fills up. I can not make writing a career, because I have such a problematic style. But I'm not writing for cash... even if anybody'd pay me... I'm writing 'cause I enjoy to and I like to see other people enjoying my epics too. But, here's the thing... I have things planned up to 80 chapters, and that's just approaching the end. My biggest epic so far, Time Disruption, ended at about 63 chapters. However, it had a rather abrupt ending... a big, lengthy struggle was interrupted and a quick conclusion was drawn. I liked it that way because it didn't drag out an endless storyline... I had already summed up the minor character struggles and it was then simply a matter of holding out. One big battle was good, but I didn't want more and more of the same types of battles, so I used a wild card and took the main characters to a place where they could "make things right" and secure their friendship. That was, as I've said, 63 chapters. The chapter lengths were also shorter (although the spelling and grammar was worst) than SoMN, and posted more frequently. (Well, maybe not, but I managed to keep a bunch of reviewers until the very end). Slizers on Mata-Nui had already lost most reviewers, with a few still hanging in at 57 chapters. But can they hang in for 20 more chapters, especially when I can't promise that I can post them in a timely manner? When does an epic become too long that nobody bothers to every read it unless they were around when it first began? I don't know. I do know that when I post something and nobody replies, it makes me feel sad. I have seriously almost been put off writing a few times because of how poorly my epics have been reviewed here. But SoMN has a few constant reviewers, so I hope they can hang on until the end. And even if they drop off (be warned, Kumata, you drop this and I drop your epics too... ) I'll probably still post chapters. Since I started this epic in 2005, I've returned to it numerous times after long blackout periods. It would be really cool to see it concluded in a manner I like. And, even if it flops, I can work on other epics. Many Adventures is actually doing rather well for an epic with a new idea to it... reviewer participation ever time! If you haven't read either of the epics, I'd recommend them right away. but that's because I wrote them and I crave reviews. I honestly don't expect most people to take up the first 57 chapters of SoMN right now so they can see the conclusion in later chapters. But, hey, it's always worth a shot. And for those of you who do read SoMN... expect some really fun twists and turns. There are a couple of characters that I haven't used to their full potential, and now it's coming out. I'm going to have so much fun writing this! This just secured my liking of our original Toa of Store. Before you continue, go listen to (or read when updated) Dark Mirror Chapter 7. Otherwise, plan to be spoil-fied. Dude, we've got our Toa of Stone pretending to be Tuyet's minion, but he's really acting undercover against her. The whole "Thrown of Stone" think is an excelent disguise. And while some of the other Mata just went along with her plans, Pohatu had a moral sence to realize what she was doing war wrong. Score one for the stone fellow! And we've got Kodan on the side of freedom, as well as Ahkmou (Ahkmou! In charge of the Makuta?) and a few other familiar faces as well. Greg's going all out with this serial... too bad there's only three left (I think), but here's hoping they're just as good. I was thinking to myself, why not celebrate my 300th blog entry with an MOC! *Ahem* Anyway, here's an exclusive MOC to go along with a few sets I recently purchased. 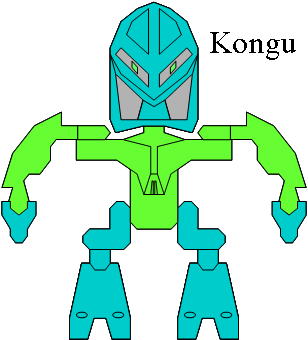 Yeppers, it's a Toa combo of the Phantoka... well, Toa. Something I kinda enjoy doing is limiting myself to using only pieces found in sets... and in this case I didn't have much of a choice, because I only have a few canister sets with me. This dude has got some pretty powerful shoulders. Unfortunately, he doesn't contain that almightiness of the original Toa Kaita Mata, as he's waaaaay hunched over. But, hey, he looks strong, and Wairuha Nuva looked horrid hunched over too. Anyway, the hunch allows for excellent positioning of the propellers, and there are some wings back there too. The Legs are certainly the worst part here... and I even used up most of the pins and axles I had putting them together. At least he's stabilized. Well, I'm still not impressed. Now that I've taken his picture, I'm going to disassemble him and turn him back into the original Toa. Don't even think of asking for a Makuta Kaita. 1: The storyline doesn't support a merger of multiple Makuta. 2: I'm not buying any more of the winter Makuta... you'll just have to wait until I get Bitil and Krika, and even then I am not touching Gorast. Have you ever wanted to get in a Taxi and just tell the driver, "Follow that car up there."? I just wonder how that would go down. Anyway, I have also been making progress on my Slizers epic... much to every body's surprise, I'm sure. I don't only have one chapter in the bank, ready to be posted, but TWO! Unfortunately, they have to go through some serious revision before they're posted, as my writing wasn't at its best when I wrote some of them. And here you thought this would be some college-life entry involving a taxi cab, a rubber chicken, and a girl with a pink dress. But you were wrong. I got a little too caught up in the whole "Earth Day" think yesterday involving Global Warming. If I said anything that insulted anybody, I am sorry and I take it back. I probably got a little carried away because, in real life, my new roommate pitched a fit about a little light. Hypocrite. I am going to take my anger out on him and not transfer it to BZP. Again, sorry if I insulted anybody with my "ranting." I prefer to look at life with more humor than anger. *Sigh* Bonesiii declared that my entry was too political (and I guess he's right). BZP is a kid's website, and discussions on stuff like this, while it can be beneficial, is not allowed. After all, while I would love to manipulate all your opinions about everything, I'm just a random kid on the Internet. Instead, I urge you to go do the research yourself, from books to websites to lectures. It's good to know about the world around you and what's happening in it... it's just not good to have heated topics discussed on BZP. If you want to see stuff a a team of international scientist have discovered, you can go use the Intergovernmental Panel on Climate Change link. As far as I am aware, it's a group of 2000 climate scientists from 100 countries participating in the largest peer review and scientific cooperation project in the world. I'd say that gives them some legitimacy. And, to counter Dalek, any irrational, environment-bashing posts will be deleted / heavily edited by ME. Muhahaha!